John Hardie has made 10 good tackles so far this game. Try saving tackle made by Joe Cokanasiga. 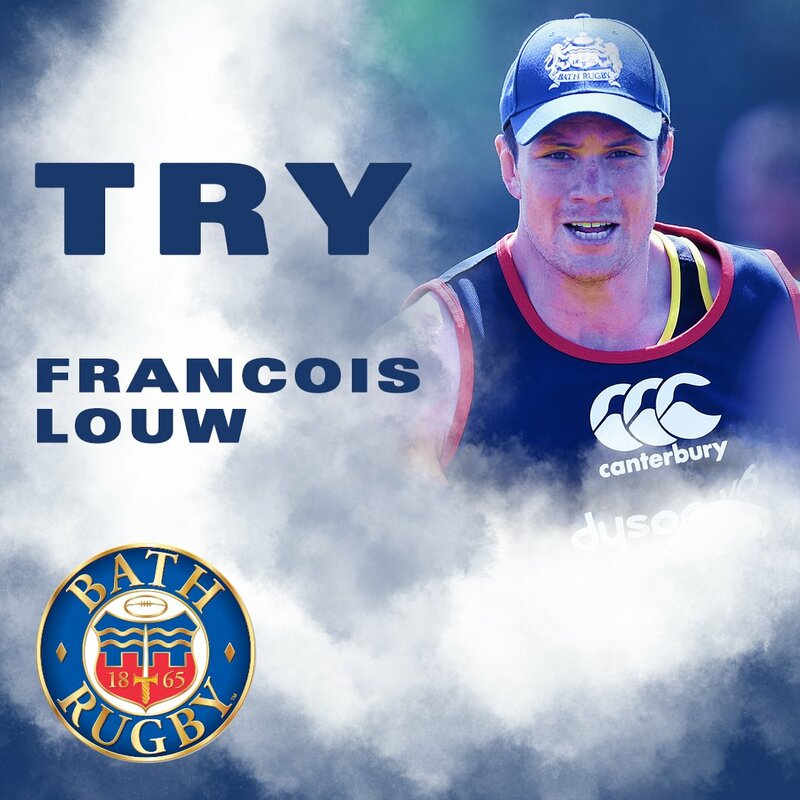 Francois Louw scores the try from close range. David Wilson has made 10 good tackles so far this game. Andrew Davidson has made 10 good tackles so far this game. Nemani Nagusa has made 10 good tackles so far this game. Newcastle sub John Hardie comes onto the field. Gary Graham departs for Newcastle. The defensive line has been broken as Gary Graham goes through the gap. Charlie Ewels comes on for Bath. Dave Attwood leaves the field. The Newcastle pack has powered over for Nemani Nagusa to score the try. What a run here by Simon Hammersley as they gets over the gainline!. Bath are only a few metres out, surely they must score! And they do with Will Chudley touching down. Joe Cokanasiga makes the break as the defence re-enacts the parting of the red sea. Fabulous play by Bath has led to Joe Cokanasiga being able to wriggle through a gap. The kick through from Bath has allowed Joe Cokanasiga to touch down. Rhys Priestland has hooked the conversion to the left of the posts. Tom Homer sets up the try. Great hands by Bath leads to a try for Semesa Rokoduguni. A gap opened in the defence and Zach Mercer took full advantage. What a tackle there by Chris Harris as he saves a certain try!. The defensive line has been broken as Andrew Davidson goes through the gap. 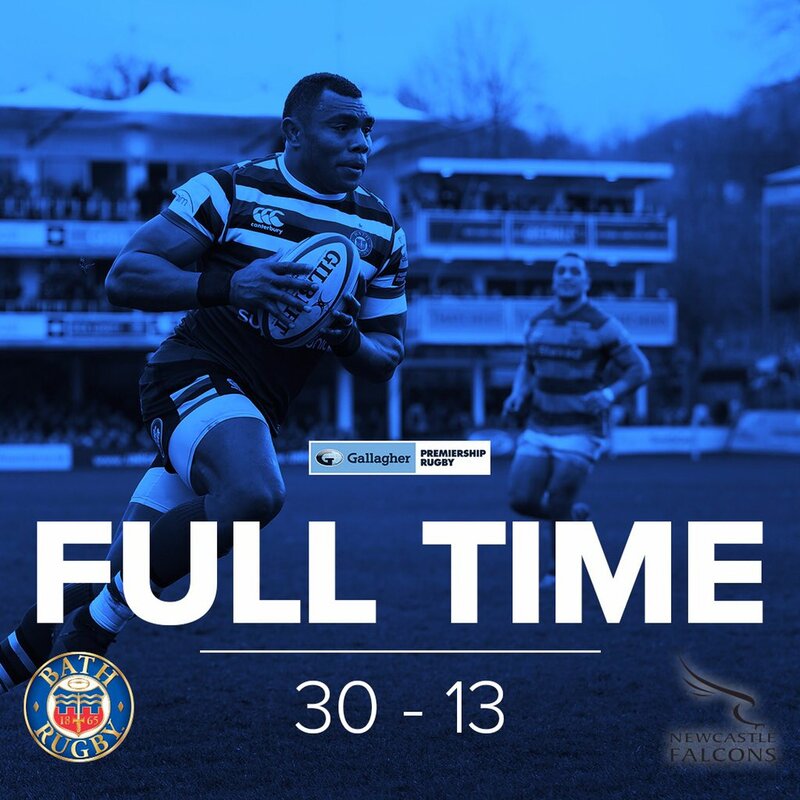 MATCH REPORT | @bathrugby secure bonus-point 30-13 victory against @FalconsRugby at the Rec. 80’ | Bath turnover and fire to touch. Full time at the Rec. 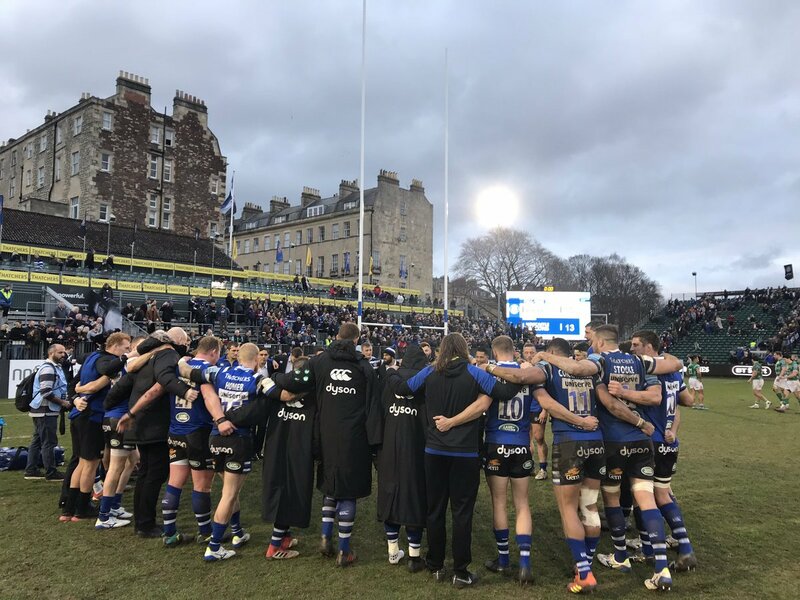 Into the last minute, Bath 30 Falcons 13. Sinoti loses the ball in the act of scoring, no try. Scrum to Falcons as Bath knock on 10m from the Newcastle line, Falcons defending gamely here with 10mins to go. 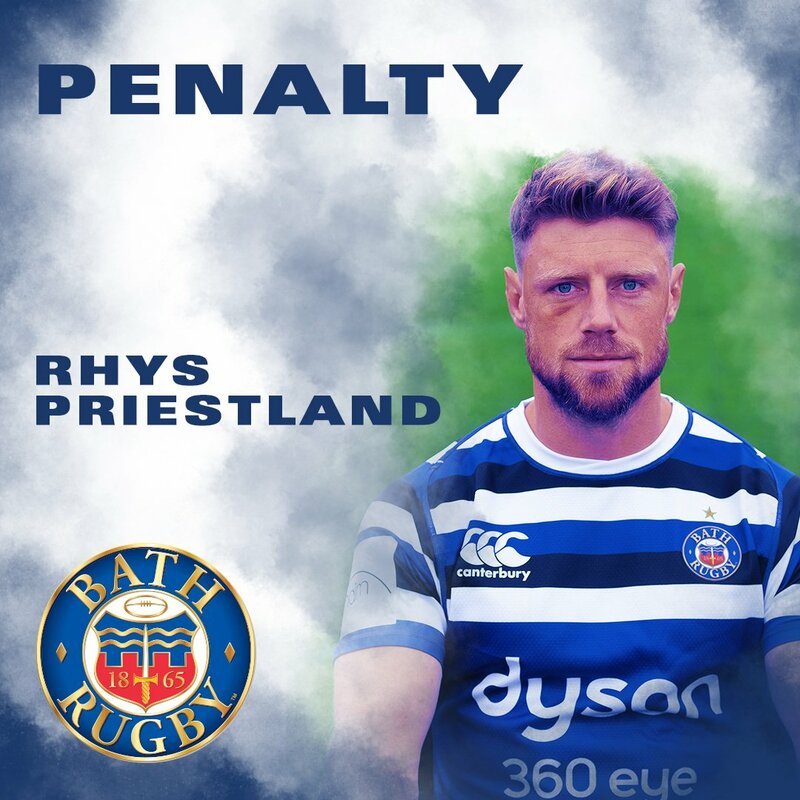 Penalty to Bath 15m out, right of centre, for a high tackle. Shot called by Priestland. 14,331 in attendance today, thank you to those who have travelled.